Taking time each week and month to back up your website it’s not a bother – it’s a potential life-saver when a new WordPress update goes wrong and wreaks havoc with your plugins or when someone, unfortunately, hacks your website. 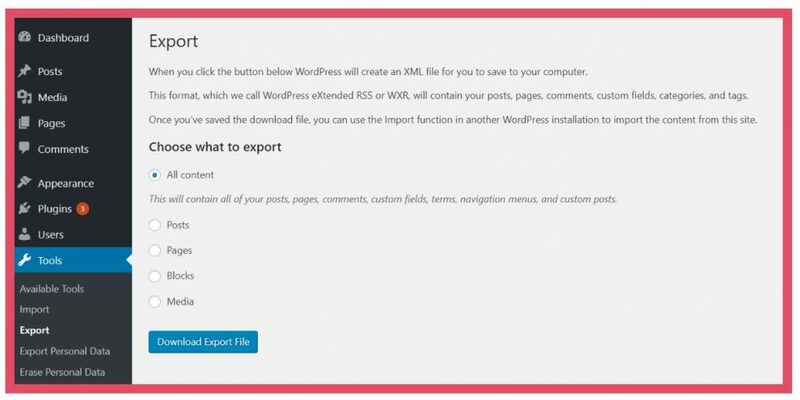 In this quick step by step guide, I will show you how to export your WordPress data, save a copy of your MySQL database from a World4You client perspective and finally, how to back up the complete set of your WordPress files off your server. The best way to go about any administrative task is to establish regular routines. You should export your WordPress data every week. 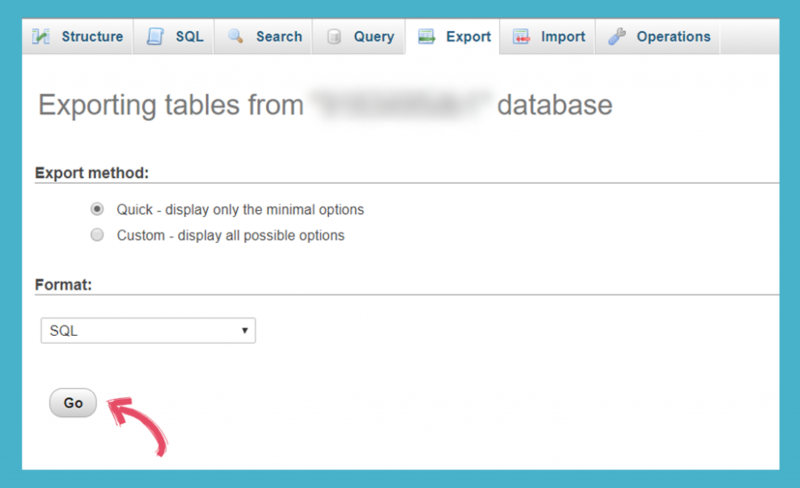 You should back up your WordPress MySQL database every week. You should back up your entire WordPress site every quarter. 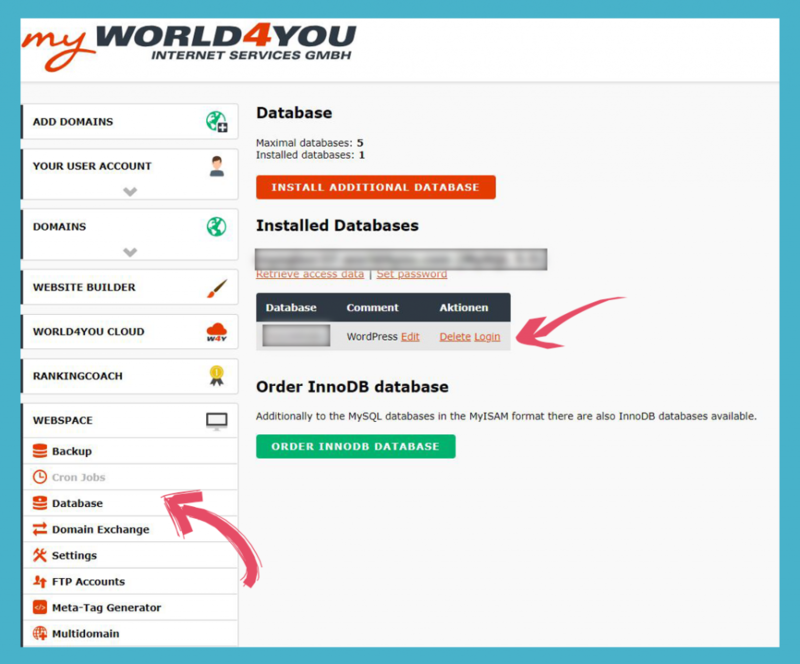 If you are a client of World4You they automatically create monthly website backups and MySQL database backups from the last 4 days, both of which you can recover for a small fee in case of emergency. Just go to ‘Webspace’ and then ‘Backup’ in your World4You admin. Where should I store my WordPress backups? I would strongly advise you that you do not keep your backups on a system that can be easily compromised or lost (an external drive or your personal computer). The best and safest place for your back up is cloud storage, for example, Google Drive, Dropbox, or your server provider. For example, World4You offers free cloud storage for domain + hosting packages, storage capacity depending on your service package. Go to ‘Tools’ and then ‘Export’. Make sure ‘All content’ option is selected. Click on ‘Download Export File’ and save it in a safe location. MySQL is an open source relational database management system, one of the elements behind your WordPress website’s facade (and Facebook, Twitter, and countless other CMS systems) that make it run efficiently. You do not touch your MySQL because once you mess with it, many things can get irreversibly wrong. Go to ‘Webspace’ and then ‘Database’. Click ‘Login’ located next to the name of your WordPress site. Above: Your World4You admin view. Below: Your online MySQL view. The reason you should think about manually backing up your server file is that this is the only way to back up your theme, plugins and widgets the way they are set up. Even if you will be forced to reinstall WordPress manually, you will be able to drop your theme and plugin back in (provided they were not tampered with). To back up your server files, you need an FTP client. ‘FTP’ stands for File Transfer Protocol and is used for the transfer of computer files between a client and server on a computer network. The one I use and recommend is Filezilla. Download it here and follow instructions for a standard installation. Go to ‘Webspace’ and then ‘FTP Accounts’. 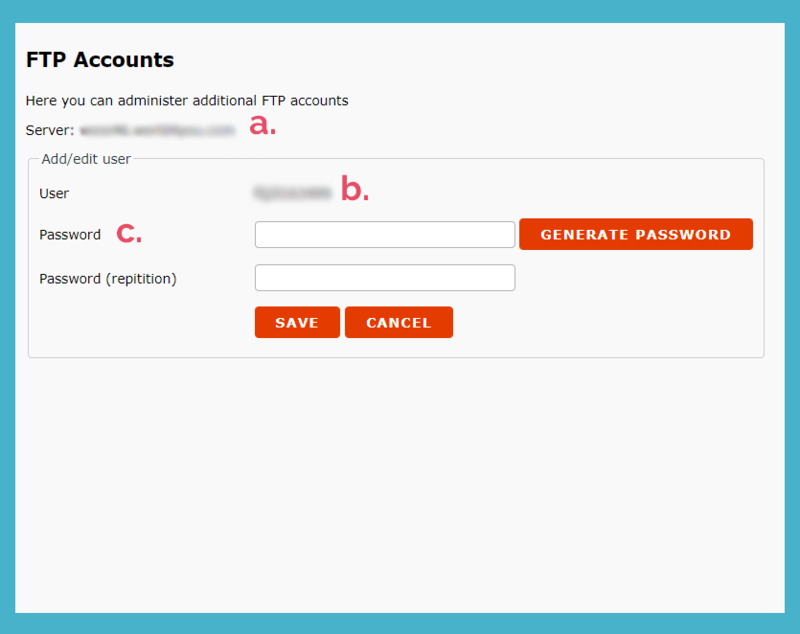 Note down the (a) server, (b) user and (c) set a new password to access your server. Now, let’s launch Filezilla. Don’t worry if it looks complex – it’s not! Input your details into the strip under the menu: your server name is your hostname, then your username and password. Click ‘Quickconnect’. On the right side, you will see your server file. On the left – your computer. Make sure to navigate to the target file you want your back up to be in the left window – just click on the folder tree until you find the backup folder and access it. When you are sure you are ‘inside’ that folder on the left hand side, move to the next step. Select all the files on the right (you can do it by selecting one line and then clicking Ctrl + A). Then simply double-click or drag the filer from the right window to the left window. The transfer will take a while. Once finished, your FTP client will automatically disconnect. Congratulations! You have survived your first complete WordPress backup! This article contains World4You affiliate links but was not sponsored by World4You. I have been using World4You for a couple of years now and I am confident in recommending their services. They have nifty domain and hosting packages every year so if you are moving for a new hosting company, visit their website!